MV Series intra-vane design pumps are the workhorse in industrial applications. The 12 vane design, with noise ratings as low as 62 dB(A) makes this the ideal pump for the confined spaces of the industrial workplace. The Metaris MV pumps offer high volumetric efficiencies, pressures to 3000 psi and time proven reliability. 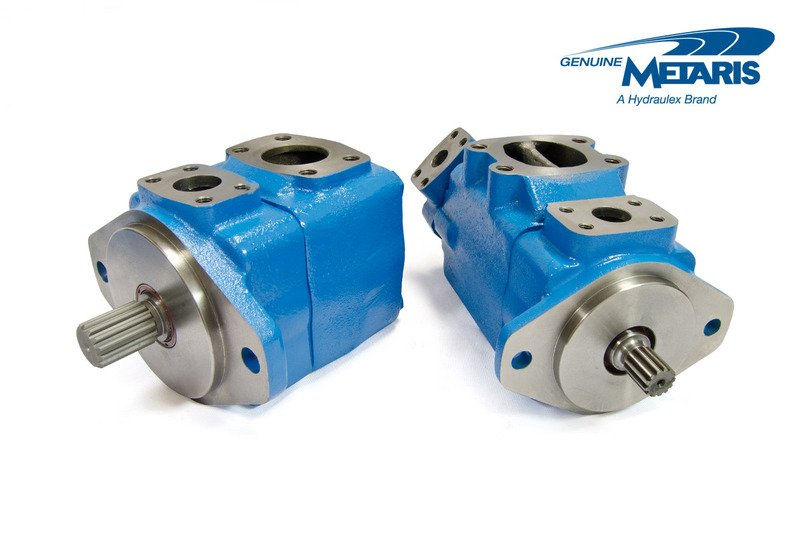 MVQ Series intra-vane pumps for the mobile market are unmatched in reliability and service. The 10 vane design offers the capability of speeds and pressures required for the mobile environment. 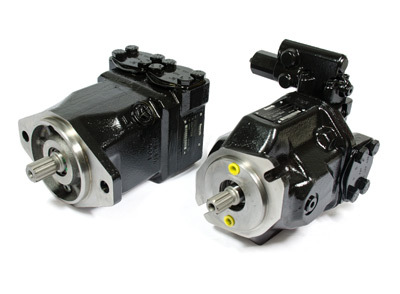 The MV & MVQ series are both available with Through-drive capability. 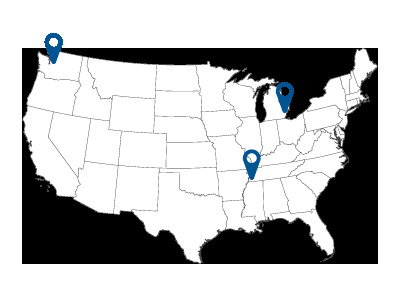 These units are fit, form and function replacements for Vickers® V & VQ series components. Please refer to the Metaris Vane Pump Technical Catalog for model code breakdowns of units. You can view this on our Literature Page (link above in header) or by clicking the Literature tab to the right of this tab and clicking the link to the technical catalog.